We Search the World for Great Wine! If you like getting together with friends and fellow wine lovers to learn about some great new wines in a relaxed, social environment, you will love our events! I am a trained wine educator, writer, and scientist who comes from Irish roots. That ensured good food was always a central part of life. My parents, ever embracing things Canadian, added a new tradition to our Sunday dinner – wine. I seem to remember lots of wines with animal names at this point in time. This developed into an informal wine club in University, where like minded friends and I tried new wines every week, including some from a new winery at the time - Inniskillen. Following my graduation with a M.Sc. in Microbiology, what followed in my adult life was attending tastings with some of Canada's leading wine writers such as Tony Aspler and David Lawrason, taking courses offered by the WSET, reading more wine books and magazines than I can count, and travel to wine regions all over the world. Some of the regions I have tasted include: France (Provence, Chateauneuf du Pape, Gigondas, Vacqueyras, Hermitage, Cote Rotie, Burgundy, Chablis), Southern Spain, Italy (Tuscany, Sicily), United States (Napa, Sonoma, Santa Lucia Highlands, Paso Robles,Temecula, Virginia) not to forget Canada's great wine regions (Niagara, Prince Edward County, Okanagan, Similkameen, Cowichan, Salt Spring Island, Annapolis Valley). Why Come to a Wine Tasting Event? The wine world can be confusing. You end up buying the same wines week after week and the restaurant wine list can induce panic if it is handed to you. That's where we come in! Trent is a trained wine educator, writer, and scientist. He tells you wine's story. When you hear its stories, you will walk away from our events armed with wine knowledge and new wines to consider. 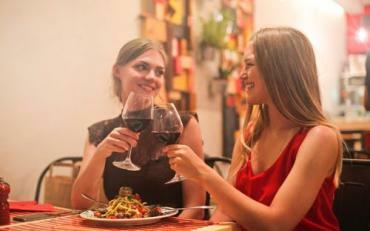 It is a casual, social environment geared to enjoying and learning about wine and wine appreciation. All wine lovers are welcome whether a neophyte or a seasoned veteran... just come to enjoy! You and your amigos need to find out why Chile has become a wine lover's dream. No longer just a source of great bargains; its diversity of fine wines is truly amazing! Our interactive tasting will pair 5 wines with small food samples to understand the pleasures of wine and food.